Our charges for Office and Common way cleaning start from as little as £8.00 per visit. 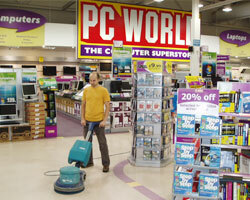 We believe we offer the best value for money cleaning services in Brighton and Hove area. You can contact us today for a free, no obligation quote on 01273 747217, 07790563207 or email us at jo@brighton-cleaning.co.uk. We aim to pay you a short visit and deliver your free personalized quote within 24 hours of your initial request or we can give you an estimate based on your cleaning requirements over the phone or by email. Why choose Squeaky Clean Cleaning Services?